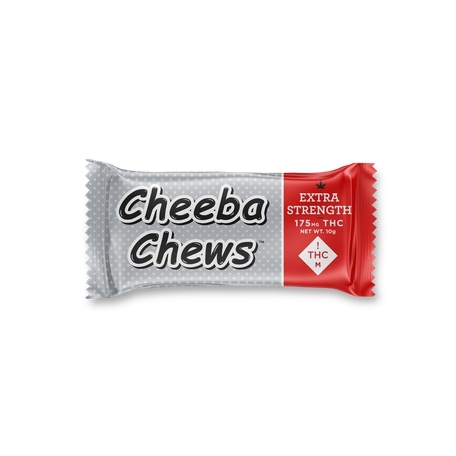 Sign Up for free to save time shopping Cheeba Chews's wholesale products on LeafLink. 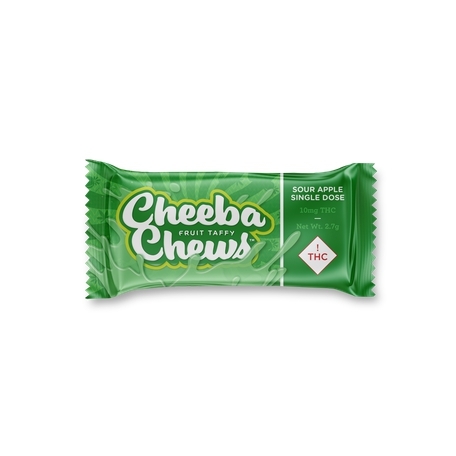 Cheeba Chews™ has been producing award-winning cannabis infused edibles since 2009. Our strong commitment to high standards from the beginning has helped us build a loyal following of consumers who rely on our Chews for consistent and reliable effects. We believe in delivering high quality and delicious products to consumers in intuitive and safe packaging. In our ten years, we have developed and refined many of the best selling products in the market and continue to add amazing products to our tasty line-up. For this reason, we have been named 'America's Favorite Edible' by High Times™ and have won numerous awards for our delightful products. 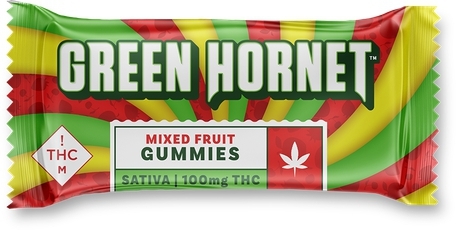 Cheeba Chews™ also produces Green Hornet™ gummies and Dabba™ mint chocolates. These products are made with the same high standards that our original Chews are every day. Please explore your choices under each product line to learn more about how we can help your consumers enjoy our edibles daily. Cheeba Chews™ is arguably one of the most recognized brands in the cannabis market. Medically, consumers rely on us every day to help them live better lives. Recreationally, consumers turn to us to heighten their daily activities. Our products can be found in over 500 dispensaries in Colorado in both the medical and recreational markets. Chews Wisely™! NEW Seasonal Orange Cream Chews! This exciting offering from Cheeba Chews is a 1:1 chocolate taffy chew that offers an appealing, easy to manage, and discreet option for "on the go" consumers and patients. Specifically created for those seeking a balanced blend of THC and CBD, these chews provide a tasteful infusion of 5mg THC and 5mg CBD. Low sugar, low calorie, gluten free, peanut free. NOW COMES IN 10 PIECE / 100MG UNITS! If you're looking for a balanced blend of Indica and Sativa effects, these creamy caramel chews provide the "best of both worlds". These caramels truly provide an "anytime, anywhere" experience that you can rely on day or night. 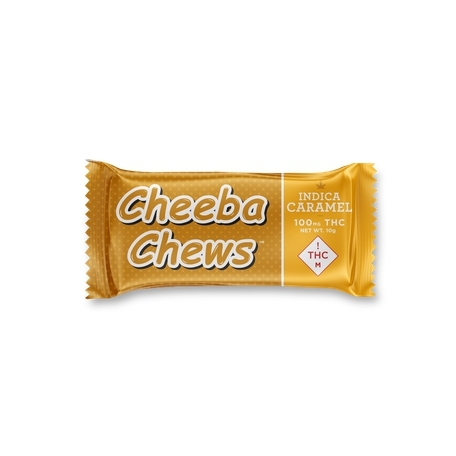 If you're looking for a balanced blend of Indica and Sativa effects, these creamy caramel chews provide the "best of both worlds". These caramels truly provide an "anytime, anywhere" experience that you can rely on day or night. Individual 10mg doses for first-time or low-tolerance customers. These balanced hybrid Chews are hand infused with high quality THC and delivered in delicious orange cream. When you release one of these Chews out of its freshness blister, you'll be overcome with a wave of citrus aroma and when you pop one in your mouth, you'll feel the calming sensation of an orange creamsicle. Unbelievable for any outdoor adventure . 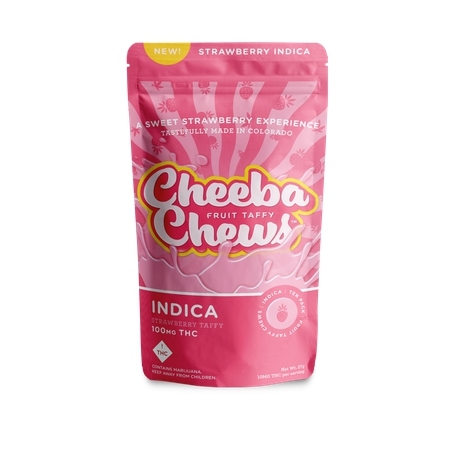 "Indica chews and chill" is the ideal way to describe the effects of these individually dosed chocolate taffies. Known to provide a relaxing "body buzz", an indica chew is great to consume when you would like to unwind and decompress. "Indica chews and chill" is the ideal way to describe the effects of these individually doses chocolate taffies. 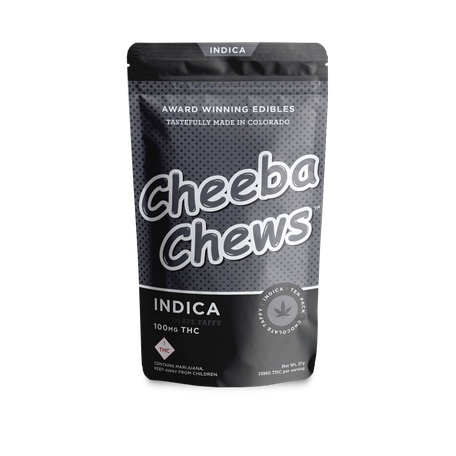 Unwind, decompress, and settle in for a movie with these Indica-specific chews. Individual 10mg doses for first-time or low-tolerance customers. Many cannabis consumers are looking for the benefits without the high and that's where these CBD-infused chocolate taffy chews really shine. 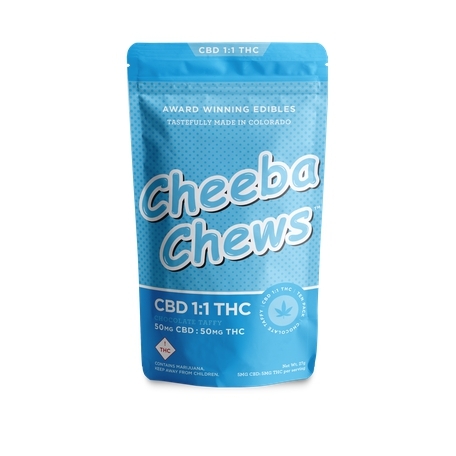 Whether you prefer a morning dose before a chaotic work day, or something to help recover after a difficult work out, CBD chews are great to keep you clear-headed and focused on your well-being. Many consumers of cannabis products are looking for the benefits without the high and that's where these CBD-infused chocolate taffy chews really shine. Whether you prefer a morning dose before a chaotic work day, or something to help recover after a difficult work out, CBD chews are great to keep you clear-headed and focused on your well-being. Individual 10mg doses for first-time or low-tolerance customers. 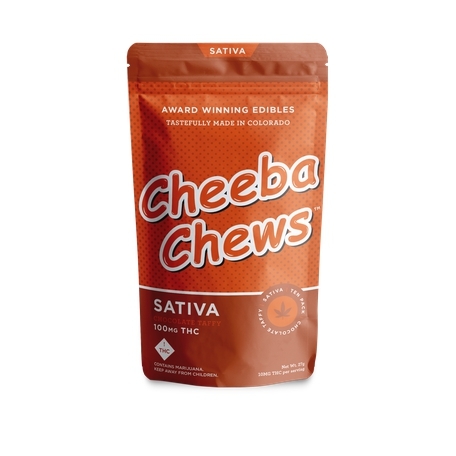 Sativa-infused Cheeba Chews™ are known for their consistency in producing an uplifting "head high". Perfect for creative inspiration or a little added motivation when you're on the go, these individually dosed chocolate taffy chews are a perfect compliment to an active lifestyle. 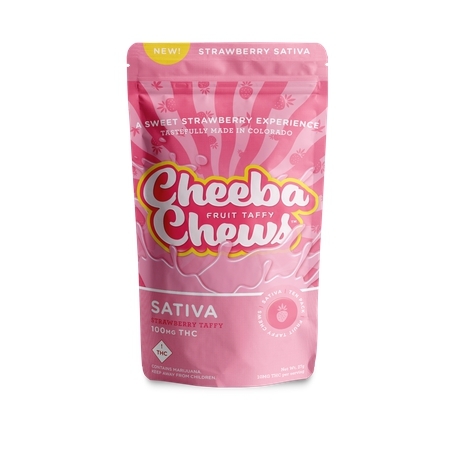 Sativa-infused Cheeba Chews™ are known for their consistency in producing an uplifting "head high". Perfect for creative inspiration or a little added motivation when you're on the go. Individual 10mg doses for first-time or low-tolerance customers. These NEW Sour Apple-flavored fruit taffy chews are perfect for a summer day in the park, on top of the mountain, or just sitting on your porch enjoying the sun. 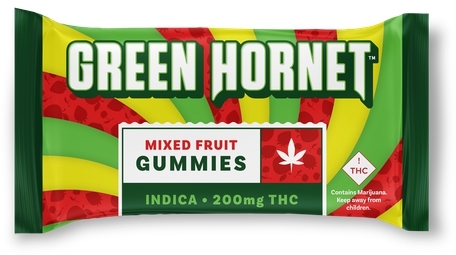 Packed with high-grade hybrid THC oil, these delicious Chews are sour, yet shockingly sweet. Enjoy them anywhere at anytime. These NEW Sour Apple-flavored fruit taffy chews are perfect for a summer day in the park, on top of the mountain, or just sitting on your porch enjoying the sun. 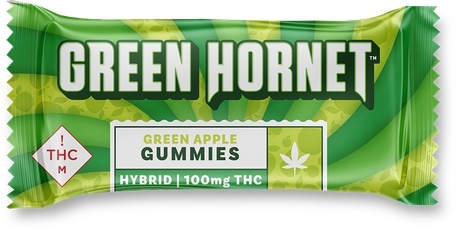 Packed with high-grade hybrid THC oil, these delicious Chews are sour, yet shockingly sweet. Enjoy them anywhere at anytime. Individual 10mg doses for first-time or low-tolerance customers. AWARD WINNING FRUIT TAFFY CHEWS! As one of the cannabis industry's best tasting edibles, these sweet strawberry-flavored fruit taffy chews are infused with high-grade Indica THC oil. Explore the full spectrum experience of these delicious taffies. Ten delicious 10mg chews in each bag. As one of the cannabis industry's best tasting edibles, these sweet strawberry-flavored fruit taffy chews are infused with high-grade Sativa THC oil. Explore the full spectrum experience of these delicious taffies. Ten delicious 10mg chews in each bag. As one of the cannabis industry's best tasting edibles, these sweet strawberry-flavored fruit taffy chews are infused with high-grade hybrid THC oil. Now available in 10mg single dose units; perfect for first time consumers and micro-dosers. Our creamy mint chocolate bites are a Colorado original and the winner of the High Times Cannabis Cup for best edible. Ten individual pieces of high-potency Indica chocolate bites packaged in our freshness blisters to ensure accurate dosing and eliminates the fear of melting. Perfect for those who like to take their edibles with them for the day. Our creamy mint chocolate bites are a Colorado original and the winner of the High Times Cannabis Cup for best edible. Ten individual pieces of high-potency Sativa chocolate bites packaged in our freshness blisters to ensure accurate dosing and eliminates the fear of melting. Perfect for those who like to take their edibles with them for the day. Our creamy premium mint chocolate bites are a Colorado original and the winner of the High Times Cannabis Cup for best edible. Individual 10mg pieces of high-potency THC chocolate bites packaged in our freshness blister to ensure accurate dosing. Perfect for those on the go, travelers, and for those who like to try first. A Balanced Full Spectrum Experience! 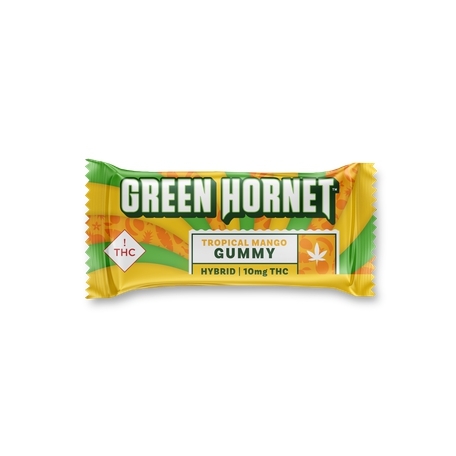 Our latest Green Hornet gummy will have you asking for more! Our sweet Black Cherry recipe is infused with a blend of high quality THC oil and CBD distillate to deliver a balanced 1:1 full spectrum experience. 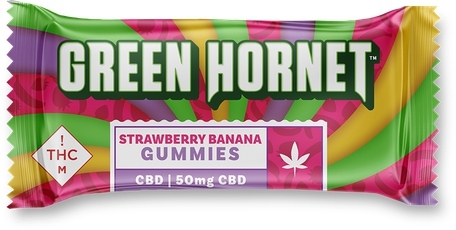 These delicious gummies really pack a punch with 100mg of CBD and 100mg of THC. Heavy hitting and packaged in ten individual 20mg blisters, your gummy experience will be lifted. OUR BEST TASTING GUMMY YET? We'll let you decide, but these Blue Raspberry Green Hornet gummies are our new fave. Like all of our Green Hornets, these amazing blue raspberry flavored gummies really pack a punch. Heavy hitting and packaged in ten individual 10mg blisters, your gummy experience will be heightened. Are these our best tasting gummies, yet? 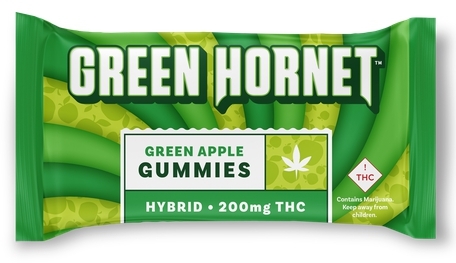 We'll let you decide, but these Blue Raspberry Green Hornet gummies are our new fave. Like all of our Green Hornets, these amazing blue raspberry flavored gummies really pack a punch. Individual 10mg doses for those on the go, travelers, or for those who like to try first. Your gummy experience will be heightened. 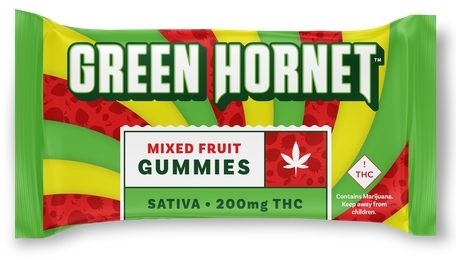 Our Green Hornet gummies are hand infused with high quality THC oil and masterfully packaged into our freshness guaranteed blister packs. No need to worry about melting or guessing at accurate dosing. These grape flavored gummies are delicious, always heavy-hitting, and never coated in sugar. 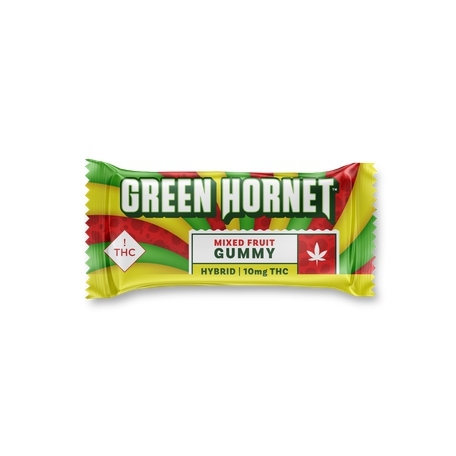 Our juicy Green Hornet gummies are hand infused with high quality THC oil and masterfully packaged into our freshness guaranteed blisters. Individual 10mg doses for those on the go, travelers, or for those who like to try first. These grape flavored gummies are delicious and never coated in sugar. Our Green Hornet gummies are hand infused with high quality THC oil and masterfully packaged into our freshness guaranteed blister packs. No need to worry about melting or guessing at accurate dosing. These green apple flavored gummies are delicious, always heavy-hitting, and never coated in sugar. An apple a day...well, you know the rest! 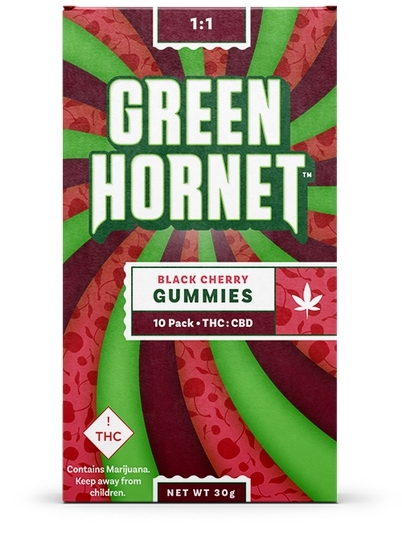 Our amazing Green Hornet gummies are hand infused with high quality THC oil and masterfully packaged into our freshness guaranteed blisters. Individual 10mg doses for those on the go, travelers, or for those who like to try first. These green apple flavored gummies are delicious and never coated in sugar. THE BEST TASTING GUMMY ON THE MARKET! Our hand-infused gummies are so delicious in our original mixed fruit flavor. These heavy hitting Indica gummies are packaged in ten individual 10mg blisters for guaranteed freshness and worry-free dosing. A true gummy not covered in sugar. Also available in Sativa. Our hand-infused gummies are so delicious in our original mixed fruit flavor. These heavy hitting Sativa gummies are packaged in ten individual 10mg blisters for guaranteed freshness and worry-free dosing. A true gummy not covered in sugar. Also available in Indica. 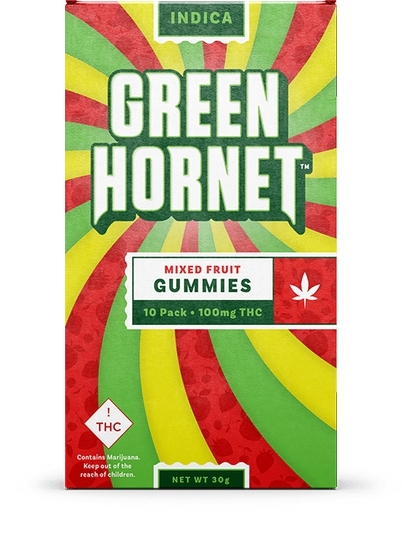 Our yummy fruit punch Green Hornet gummies are hand infused with high quality THC oil and masterfully packaged into our freshness guaranteed blisters. Individual 10mg doses for those on the go, travelers, or for those who like to try first. These mixed fruit flavored gummies are delicious and never coated in sugar. Our brand new tropical mango hand-infused gummies are so tropical and sweet, you'll feel like you've been whisked away to a sandy beach. These Sativa gummies are always heavy hitting and packaged in ten individual 10mg blisters for guaranteed freshness and worry-free dosing. A true gummy not covered in sugar. 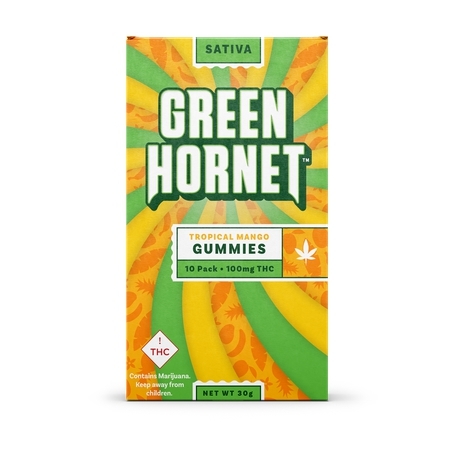 Our sweet tasting Green Hornet gummies are hand infused with high quality THC oil and masterfully packaged into our freshness guaranteed blisters. Individual 10mg doses for those on the go, travelers, or for those who like to try first. These tropical mango flavored gummies are delicious and never coated in sugar. These hand-infused gummies are so delicious in our popular watermelon flavor. These heavy hitting Indica gummies are packaged in ten individual 10mg blisters for guaranteed freshness and worry-free dosing. A true mouth-watering gummy not covered in sugar. Also available in Sativa. These hand-infused gummies are so delicious in our popular watermelon flavor. These heavy hitting Sativa gummies are packaged in ten individual 10mg blisters for guaranteed freshness and worry-free dosing. A true mouth-watering gummy not covered in sugar. Also available in Indica. 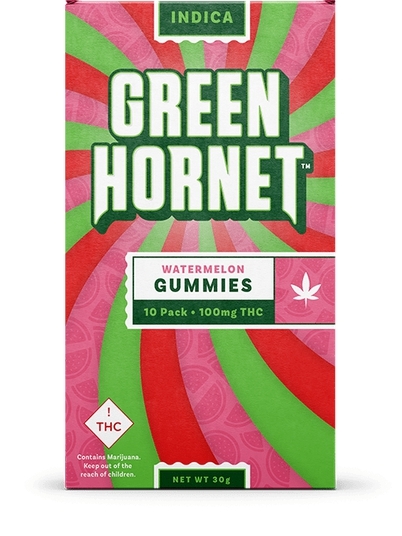 Our mouth-watering Green Hornet gummies are hand infused with high quality THC oil and masterfully packaged into our freshness guaranteed blisters. Individual 10mg doses for those on the go, travelers, or for those who like to try first. These watermelon flavored gummies are delicious and never coated in sugar. A creamy and buttery caramel enhanced flavor Chew infused with 100mg of THC for medical patients only. This Indica Caramel Chew comes in one single dose. Delicious! A creamy and buttery caramel enhanced flavor Chew infused with 100mg of THC for medical patients only. This case comes with 12 Sativa and 12 Indica Chews in one convenient pack. A great starter case! A creamy and buttery caramel enhanced flavor Chew infused with 100mg of THC for medical patients only. This Sativa Caramel Chew comes in one single dose. Delicious! AS O.G. AS IT GETS! The 2011 & 2012 High Times Award Winning Deca Dose, now called Extra Strength Hybrid, is designed for high tolerance patients. 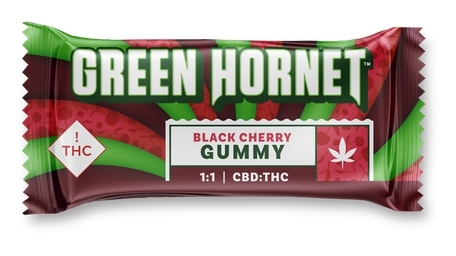 Infused with 175mg of high quality THC in the same discreet size as our original Chews. A true classic! Try them again - our reformulated recipe is light, airy, and smooth. 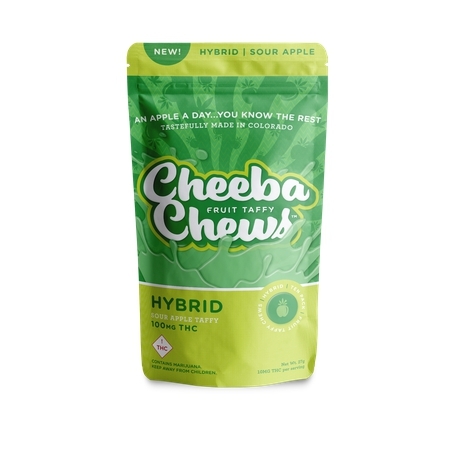 A fresh take on a Cheeba Chews classic! This High CBD 1:1 chew now offers a one to one ratio of THC to CBD (50mg each) for a potent means of medicating "on the go". Our reformulated recipe is light and airy! Made with CBD distillate. Get lifted and stay medicated. As a part of the original Cheeba Chews™ family, this Hybrid chocolate taffy is potent, consistent, and discreet, but now comes with 30% more THC. Now 100mg at no extra cost. And, our reformulated recipe is light and airy. With only 5g of sugar, this edible provides a pleasant combination of head and body high for a great "any time" effect. AS O.G. AS IT GETS...NOW WITH 30% MORE THC! As a part of the original Cheeba Chews™ family, this Indica chocolate taffy is potent, consistent, and discreet, but now comes with 30% more THC! Now 100mg at no extra cost. And, our reformulated recipe is light and airy! With only 5g of sugar, this edible provides a pleasant body buzz and is great for relaxation, stress relief, and an overall sense of calm and serenity. AS O.G. AS IT GETS...NOW WITH TWICE THE CBD! 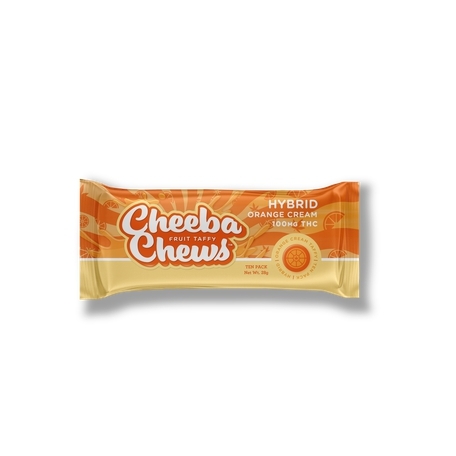 For patients looking to medicate with cannabis, without the psychoactive effects of THC, the Pure CBD Cheeba Chew™ has 100mg of independently lab tested Cannabidiol (CBD) distillate. So, now with twice as much CBD...and, our reformulated recipe is light and airy! Your patients will love these! 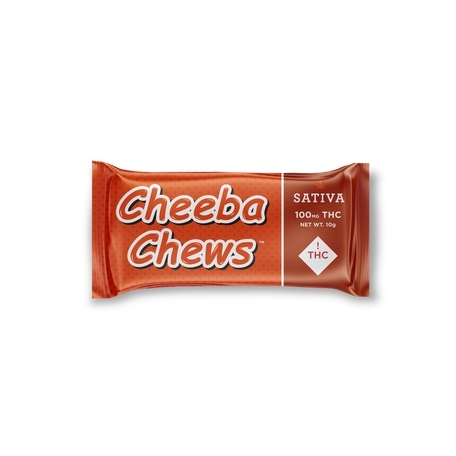 As a part of the original Cheeba Chews™ family, this Sativa chocolate taffy is potent, consistent, and discreet, but now comes with 30% more THC. Now 100mg at no extra cost. And, our reformulated recipe is light and airy! With only 5g of sugar, this edible provides an uplifting mental high that's perfect for day time activities and creative inspiration. These premium mint chocolate bars are a Colorado original and winner of the High Times Cannabis Cup for best edible. Available in three varieties, each with medical-grade strength THC. This Hybrid bar comes in five 80mg pieces for easy dosing. These premium mint chocolate bars are a Colorado original and winner of the High Times Cannabis Cup for best edible. Available in three varieties, each with medical-grade strength THC. This Indica bar comes in five 40mg pieces for easy dosing. 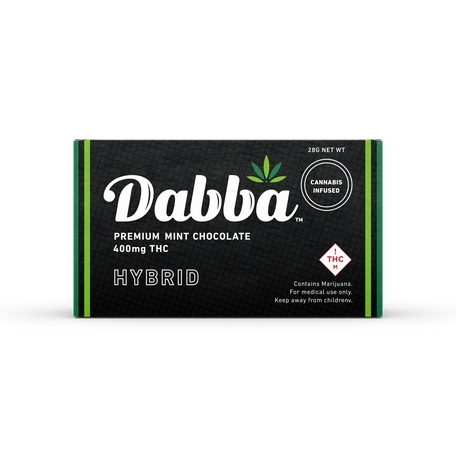 These premium mint chocolate bars are a Colorado original and winner of the High Times Cannabis Cup for best edible. Available in three varieties, each with medical-grade strength THC. This Sativa bar comes in five 40mg pieces for easy dosing. 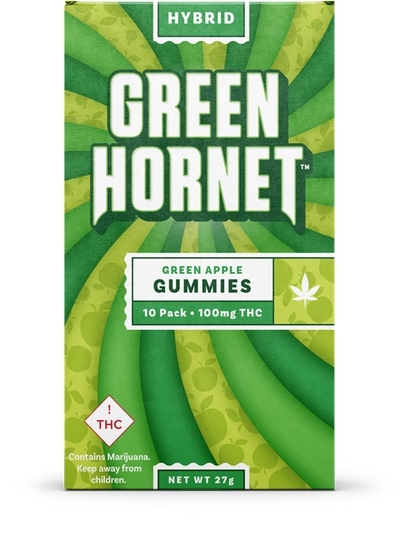 This Green Hornet™ Gummy edible is a nice blend of fruit and hybrid cannabis oil that comes in a delicious green apple flavor. With high potency in a single dose, this product is medical grade strength. NEW 200mg Green Apple Gummies! 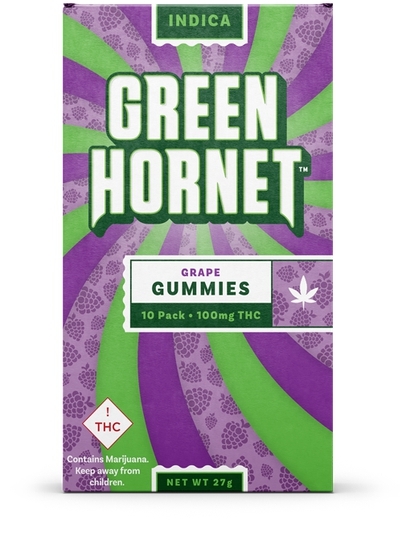 The same delicious Green Hornet™ Gummy edible in a 200mg TEN PACK!! Now patients can enjoy this amazing gummy in 20mg dose increments. It's a nice blend of fruit and hybrid cannabis oil that comes in a delicious green apple flavor. This product is medical grade strength. This Green Hornet™ Gummy edible is a delicious blend of fruit and indica cannabis oil that comes in a delicious mixed fruit flavor. With high potency in a single dose, this product is medical grade strength. NEW 200mg Mixed Fruit Gummies! 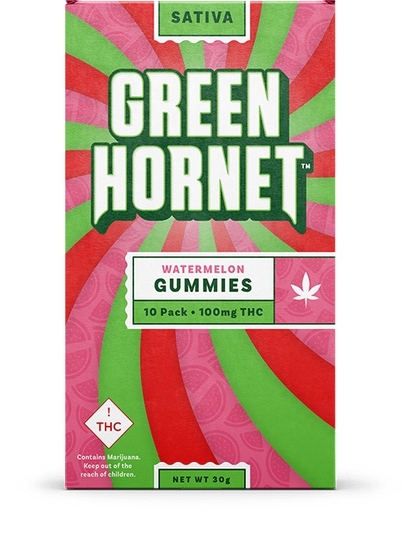 The same delicious Green Hornet™ Gummy edible in a 200mg TEN PACK!! Now patients can enjoy this amazing gummy in 20mg dose increments. It's a delicious blend of fruit and indica cannabis oil that comes in a delicious mixed fruit flavor. This product is medical grade strength. 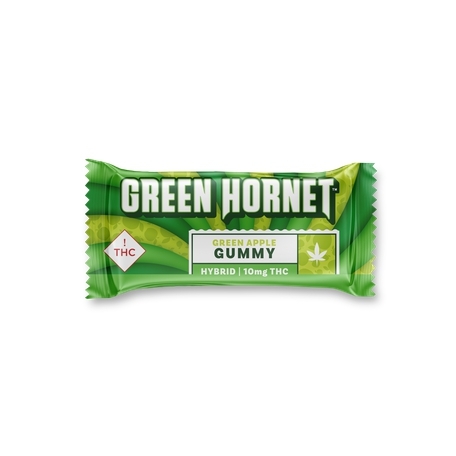 This Green Hornet™ Gummy edible is a delicious blend of fruit and sativa cannabis oil that comes in a delicious mixed fruit flavor. With high potency in a single dose, this product is medical grade strength. The same delicious Green Hornet™ Gummy edible in a 200mg TEN PACK!! Now patients can enjoy this amazing gummy in 20mg dose increments. It's a delicious blend of fruit and sativa cannabis oil that comes in a delicious mixed fruit flavor. This product is medical grade strength. This Green Hornet™ Gummy edible is a nice blend of fruits and independently lab tested Cannabidiol (CBD) distillate that comes in a delicious strawberry banana flavor. With high potency in a single dose, this product is medical grade strength. For those looking for medication without psychoactive effects, it comes with 50mg CBD and ~2mg THC.